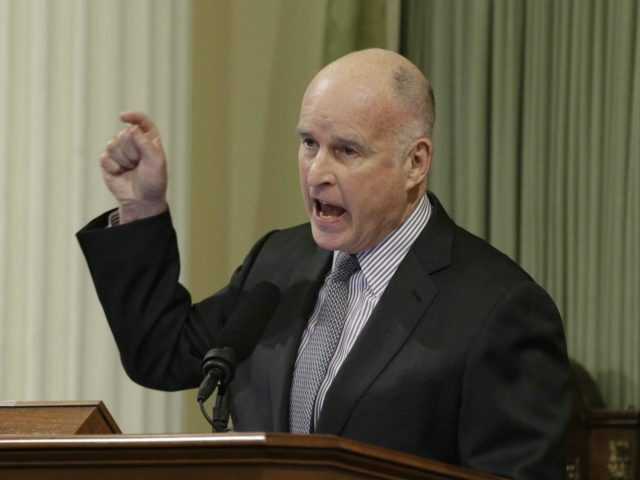 According to the Los Angeles Times, Brown joined New York Gov. Andrew Cuomo and blasted the California GOP contingent for “slavish adherence to the Republican leadership.” The Associated Press added that Brown said they were “like a herd of sheep” for Trump. Brown is primarily concerned with Trump’s proposed repeal of the state and local tax (SALT) deduction, which would provide $1.8 trillion in revenue that could be used to grant tax cuts in other areas. Wealthier taxpayers in high-tax states, which tend to be governed by Democrats, use the SALT deduction to lower their overall federal tax liability. As a result, state lawmakers and local officials who raise taxes to fund additional spending are somewhat insulated from the political consequences of doing so, since voters can shift the burden of higher taxes to federal taxpayers elsewhere. Critics of the SALT deduction — including some California Republicans — point out that it forces taxpayers in more fiscally conservative states to subsidize California’s profligacy. On Wednesday, House Minority Leader Nancy Pelosi (D-CA) warned California Republicans in the U.S. House not to pass the Senate’s version of the new federal budget, which paves the way for tax reform. All fourteen of them, however, ignored Pelosi’s warning and voted for the budget anyway. It passed 216-212 — a razor-thin margin, and one that could have been reversed if just three California Republicans had voted the other way. Democrats are currently targeting at least seven California Republicans for defeat in the 2018 midterm elections, as they hold U.S. House seats in districts that voted for Hillary Clinton in 2016. On the conference call, Brown also accused Trump of “using a handful of states to finance the tax cuts for their states” — a description that could apply just as easily to the SALT deduction itself, which favors liberal “blue” states.